Directed a 15+ team to a shippable, clearly defined vision as the Creative Director’s right arm. I was able to design a concept that was viable for a short development time frame yet flexible to pivot when necessary, while still satisfying the requests of our director and our publisher. It was a great challenge to express feelings of loss, grief and ultimately acceptance through game mechanics, and ultimately the experience taught me a great deal about narrative design, camera direction, player expectations, pacing and user experience. This added to my strong systems / game mechanics background, which in turn I believe has made me a more well-rounded designer. Ovosonico was also an essential step in my growth into seniority, as I learnt what it meant to make a medium sized team work in an efficient way, avoid communication missteps, maintain the trust and the morale of the team high and how to assign clear and quantifiable deliveries / objectives. In addition, I strengthened my knowledge of C# by partaking in the creation of the Tools / Gameplay Code codebase. Through Games has been a stepping stone in my career. We founded the company (our very first entrepreneurial experience!) 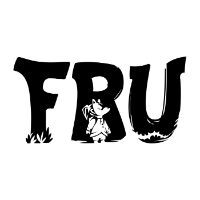 to release a commercial version of our Game Jam prototype FRU. The lessons I learnt were invaluable and can't be grouped under design alone: communication, cooperation, contracts, responsibilities, maturity and work ethics are some of the key words that come to mind. In Through Games I took upon the role of designer and refined my puzzle design, level design, tool design, level balancing and game feel skills - but I also handled production on the game, implementing Scrum, estimating deadlines, securing funding and dealing with clients. My goal for FRU was to create a puzzle game for Kinect that would transcend the typical party game of the peripheral, and show true systemic depth from a couple of very simple puzzle rules. I was inspired by Jonathan Blow's philosophy on Braid's puzzle design, which I would summarise as "Don't just create content, discover interesting possibilities stemming from your ruleset and curate an experience that ties them all together". It was incredible to see the response of players and press, which confirmed to me that our efforts were not in vain. The decision to remove Kinect from the Xbox One bundle came one year and a half after development had already started and money were invested, which severely limited the game's exposure. I am however still proud of the PR work I did, which managed to get FRU covered on all major press outlets. One and One Story was the culmination of my childhood dreams. As a kid, I remember writing long letters to Santa with game concepts that didn't exist, in the hope he would make them for me. At some point when I was fifteen I realised that was not going to happen, so I started learning how to code in Actionscript 3. Two years of failed prototypes later, I started and finished One and One Story, my very own platformer about love. The game was instrumental in teaching me game design (I had in fact no prior knowledge of it, neither did I know game design existed as a discipline!) and discovering the elegance and beauty that is hidden behind level design. 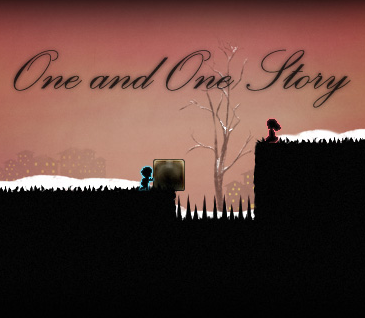 One and One Story tells a simple love story by changing its ruleset every chapter, and having the game mechanics tell the story. Initially control is switched between a boy and a girl, but as the game progresses the two start moving at the same time. One chapter later, they are still moving synchronously, but in opposite direction... and so on. The game was a massive success (30 million views) and brought a seventeen year old me to IGF / GDC, where I met all my heroes (Braid was the greatest inspiration, above all). Its success was positive but also extremely stressful at the time, as I started fearing I might never make something as successful. Fortunately my coming of age turned that fear into a challenge. 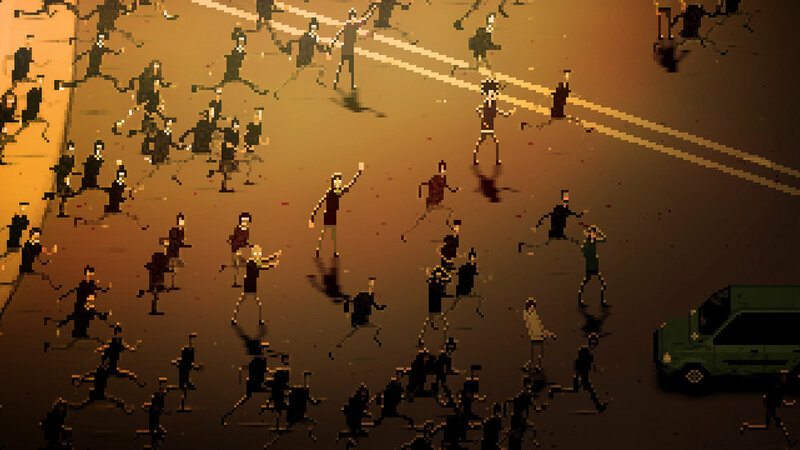 I was part of the team behind the pre-production of RIOT and later handled PR. Thanks to our efforts, the game was mentioned on Le Monde, The Guardian, The New York Times, and every major gaming outlet. In 2012, Disney and Miniclip asked me to make an advergame for their movie "Secret of the Wings". Unfortunately the game was taken offline, but can be shown on request.